After experiencing a whirlwind of support for her cosmetics line, Rihanna is going to try her hand in the lingerie business next. 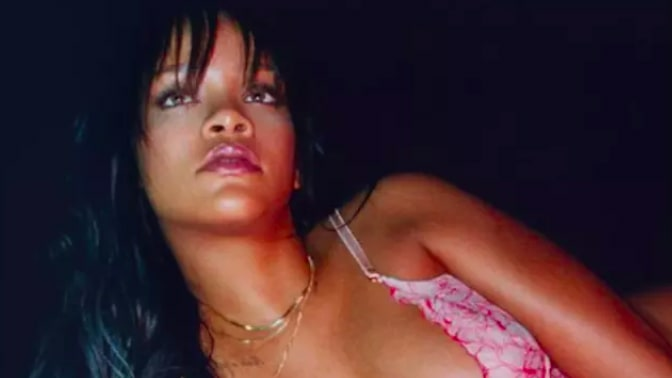 Her new collection, Savage x Fenty, is slated to drop on May 11, a date that is being counted down by the second on the brand's official website, savagex.com. According to Buzzfeed, an insider has shared that the line will also operate on a subscription service basis. As reported, the source claims members will be marketed through an annual membership that will offer subscribers discounted prices and free shipping, among other exclusive perks. While Rihanna has not yet commented on the matter, it has been reported that the singer-turned-beauty-entrepreneur has partnered with TechStyle Fashion Group, which currently owns a variety of brands, including Kate Hudson's Fabletics, ShoeDazzle (cofounded with Kim Kardashian) JustFab (once led by Kimora Lee Simmons) and FabKids. In addition to the possible partnership, Buzzfeed also is reporting that the line aims to be "inclusive" of sizes ranging up to 3X, a detail that is further confirmed by the contact form that appears when eager customers sign up for the brand's mailing list. Take a look at Rihanna modeling a preview of the line, below.